Million Dollar Man Richard Thompson - Bigger than Ato Bolden? Million Dollar Man Richard Thompson – Bigger than Ato Bolden? I have to admit, it wasn’t until the 3rd or 4th slow motion replay of the Beijing 100 meter final that I noticed the 2nd place finisher raising his arms in triumph. He was wearing the red and white colours of T&T – Trinidad and Tobago (sorry, Canada). That man was Richard Thompson. 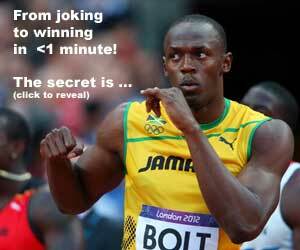 He also went on to win another silver medal in the 4x100m relay behind Jamaica. Thompson was not an unknown athlete to the Track world. He won the 2008 NCAA indoor 60 meters, plus the 100 meter outdoor title for Louisiana State University. His personal best time is 9.89 seconds set at Beijing. Trinidad and Tobago’s Newsday newspaper reported Thompson being awarded $1,000,000. With the Trinidad dollar at $0.16 USD, that’s still $160,000 US dollars in the bank! That’s pretty impressive, considering Canada and Australia would only give $20,000 (local currency) to a Gold medal winner. That’s about $13-$16K USD! I don’t think Ato Boldon ever received a nice financial stipend for his storied Olympic career. Ato Boldon’s 4 Olympic appearances (’92 – ’04) earned him 1 Olympic Silver medal (100 meters at Sydney 2000 behind HSI teammate Maurice Green) and 3 Olympic bronzes (100 meter & 200 meters in 1996 Atlanta, plus 200 meters in Sydney 2000). SIX OLYMPIANS received early Christmas presents yesterday when they collected their monetary reward for their outstanding performances at the 2008 Beijing Olympics in August. The athletes led by double silver medallist Richard “Torpedo” Thompson collected the financial windfall that were promised to them by the Government and were all in an exuberant mood. Thompson was the “million dollar man”, earning $750,000 cash and $250,000 in units from Unit Trust Corporation. He placed second in the Men’s 100m final in a time of 9.89 seconds while returning to the tracks to anchor the 4x100m relay team to silver in a national record of 38.06 seconds. Members of the relay team including Keston Bledman, Aaron Armstrong, Emmanuel Callender, Marc Burns and Darrel Brown were each recipients of $500,000 cash and $250,000 in units. Thompson was modest in accepting the reward explaining that the pride of wearing the red, white and black colours of Trinidad and Tobago outweighed any financial benefit. The Men’s 100m silver medallist noted that 2009 promised to be an even better year for himself and the 4x100m relay team as they continue to gel and improve their baton transition. Thompson revealed that the relay team will be convening for several meets next year and should be a force to be reckoned with in the near future. The 4x100m anchor called on the public to continue supporting the local athletes as they prepare for the Caribbean Games scheduled to start in July 2009 in TT. Thompson revealed that he resumed training on November 3 and will be using his million dollars to put things in place for his career next year and beyond. The National Collegiate Athletics Association (NCAA) 100m champion revealed that he is confident he can continue his good form and even improve his 9.89 personal best. “I see no reason why I can’t get better once I continue doing the things that have made me improve,” Thompson said. Bledman, who ran the opening leg of the Men’s 4x100m relay final at the Olympics, expressed gratitude for the award but admitted he did not expect to receive it so soon. “It came at the right time. I will be putting it to something useful,” he said. The Simplex runner revealed that he has no intentions of training abroad and believes that he can achieve his full potential at the Simplex club. Bledman will be in action at the World Games in 2009 and his fans will have the opportunity to see the 20-year-old live when the Caribbean Games gets underway next year. Meanwhile, Ephraim Serrette, president of the National Amateur Athletics Association (NAAA), thanked the Ministry of Sport and Youth Affairs and UTC for rewarding the athletes. He said it is important that there are incentives for athletes to excel. The NAAA boss pointed out that track and field is on the rise citing the success at the CAC Games and Olympics as testament to the fact. thompson makes trinis happy all over the globe, im happy for him, and those haters out there saying jamaica is unbeatable, asafa powell got beat.